Suga from BTS is worrying fans as he decided to go on a diet, despite being underweight already. The statement was made during a livestream featuring Suga & J-Hope. The members discussed their activities in the Philippines as they were eating local cuisine. "I'm thinking of going on a diet. To be honest, I may already be underweight, but as I'm in an industry that requires me to come out on television, I have no other choice but to maintain my appearance," Suga said. The statement obviously worried fans, who urged him to look after his health instead. "I don't think I'll be able to drop a lot of weight in a short amount of time. 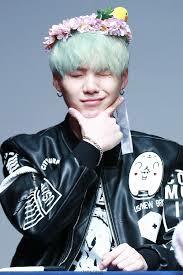 We are working hard for our concerts so please look forward and anticipate us," Suga reassured fans.